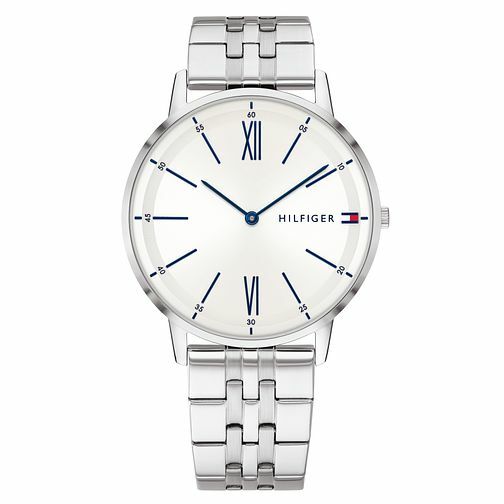 A sleek and smart men’s watch from Tommy Hilfiger. Featuring a 40mm stainless steel case, a monochrome design features a pure white dial complete with black hour indices and the Hilfiger flag at the 3-o-clock position. This timepiece is complete with a stainless steel bracelet, a smart accessory complimentary to day or evening wear.